Dr Albert understands that patient comfort always comes first and has a passion for delivering quality dentistry to all his patients. 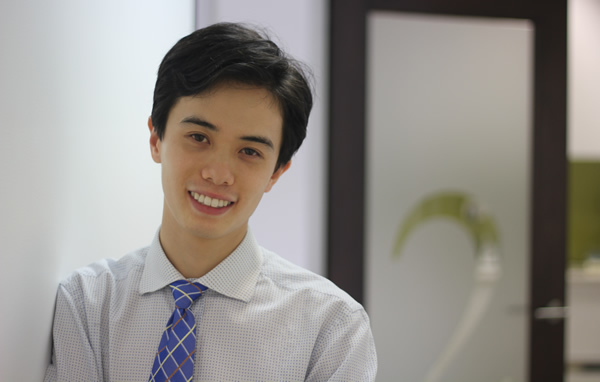 Despite his blessed youthful appearance and often being mistaken as a newly graduate, Dr Albert has over 13 years of experience in Public Dentistry, Private Practice and dental education. For 7 years, Albert has developed a very solid reputation as a trustworthy, reliable and caring dentists in the Morteon Bay and Caboolture Region. He established Windsor Dentists in 2015 as a practice with an ethos based on honesty, quality and patient centric care. A Queensland graduate, Dr Albert spent the last 8 years as a lecturer, examiner, dental educator and clinical supervisor at the University of Queensland School of Dentistry and the newly opened Oral Health Center. To this day, Dr Albert continues to educate dental students and future dentists at the undergraduate level on restorative dentistry, material science and endodontics. In 2010, Dr Albert was inducted as a Fellow to the prestigious Royal Australasian College of Dental Surgeons and since become a clinical mentor to other qualified dentists through the College’s MRACDS program. Dr Albert is also an examiner for the Australian Dental Council and a national assessor for university programs within Australia and New Zealand. Dr Albert is also a certified Invisalign Provider and completed his Implant Surgery training at The London Institute (Seattle, Washington USA). During his spare time, Dr Albert enjoys reading, watching movies and looking after his pet birds. Having grown up in central Queensland, he also loves long road trips across Australia.